Home page 1 | Official VChic Website: As Seen On TV! Not to Mention, More Chic. and 1 Flavor Cartridge Included! 1 Solid State Battery. Battery life for a normal smoker is 9-10 hours without charge. Each Cartridge = 2 Packs of cigarettes. Quickly recharges battery to a full charge. 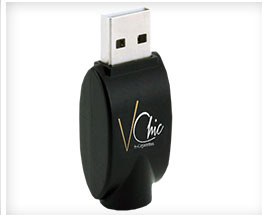 These days you can't smoke anywhere, but with VChic™ you can smoke almost anywhere! 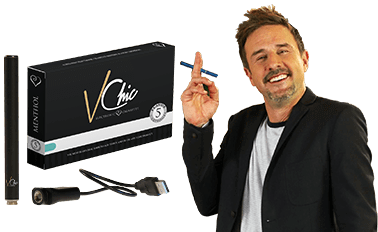 By using electronic vapor cartridges that feel and taste like tobacco cigarettes, VChic™ allows you to smoke, smoke-free. 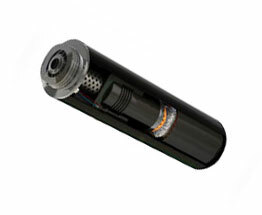 A heater within the electronic cartridge releases a nicotine vapor that tastes and feels like a tobacco cigarette without the nasty offensive smoke. 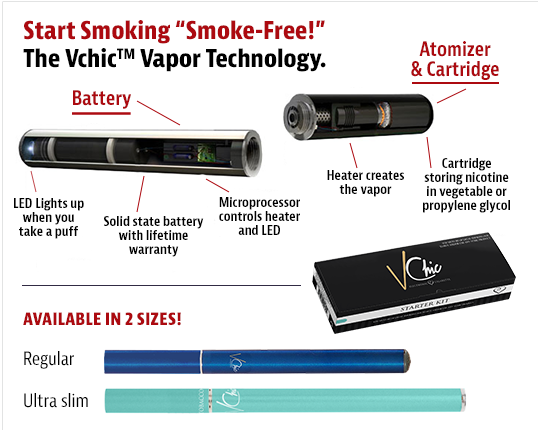 In addition, the VChic™ vapor is completely odorless! No longer be hassled with tobacco smoke smell in your house, car, clothes, or around your company. 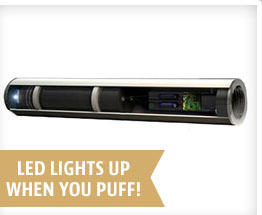 Each vapor cartridge is the equivalent of 2 packs of cigarettes, allowing you to smoke at a fraction of the cost! Effective. Smoother. Suitable for Anywhere That's Chic. 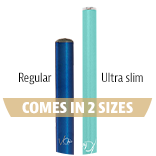 The Smoke-Free, Hassle-Free E-Cigarette That Satisfies Like Nothing Else. 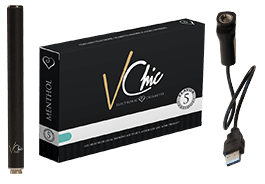 "When you smoke VChic you get that real sensation, like the real taste in your mouth and the real feeling in your lungs; it tastes like a real cigarette. Now I can just smoke in my car, and there's no scent left over. I can smoke in my house and it doesn't stink it up. My clothes don't reek of cigarettes anymore. I used to smoke a pack a day, and with VChic a cartridge is a pack and a half of cigarettes, so I'm saving myself $200 a month. I love it. I have the satisfaction (and fixation) of a real cigarette." "It looks like smoke, but it's not, it's vapor with no smell, and it tastes like the real thing. I don't have to take the elevator down, and go outside, and take 10 minutes out of my work day, and then rush back up to catch-up on my work. It tastes great, I mean, it just tastes like a real cigarette. VChic saved me a lot of money - it's like car payment, it's gas for a month that I'm saving." Lithium Ion Battery, USB Charger and 1 Flavor Cartridge Included! OFFER DETAILS: Offer includes the V-Chic Rechargeable Electronic Cigarette, a USB quick charger and a flavor cartridge equal to 2 packs of cigarettes ABSOLUTELY FREE! Just pay $7.95 S&H. We also enroll you for FREE into our convenient Easy Refill Program which includes 5 flavor cartridges each month for just $14.95 or 10 cartridges for $24.95. The program starts in 14 days and ships every 30 days. 30-day satisfaction guarantee. NOT FOR SALE TO MINORS | CALIFORNIA PROPOSITION 65 - Warning: This product contains nicotine, a chemical known to the state of California to cause birth defects. 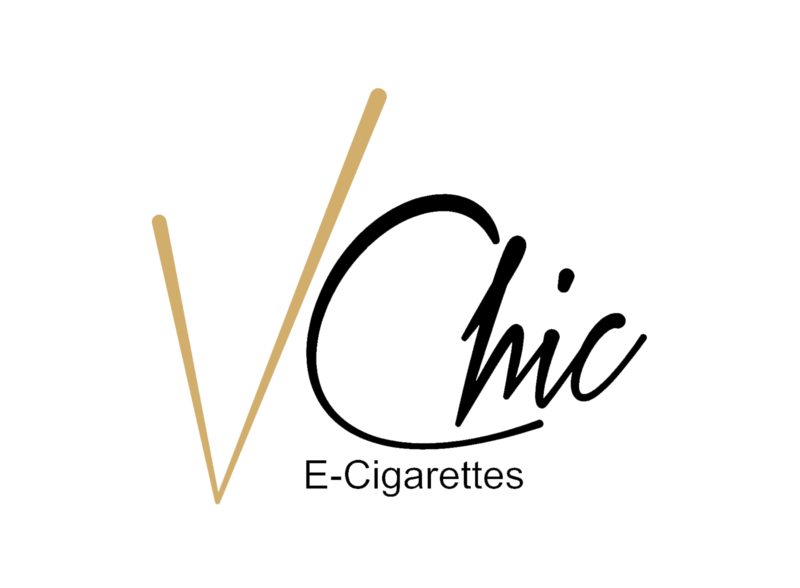 VChic™ electronic cigarettes are not a smoking cessation product and have not been evaluated by the Food and Drug Administration, nor are they intended to treat, prevent or cure any disease or condition. Colors may vary based upon availability. Copyright © 2017 VChic Powered By MOJO.